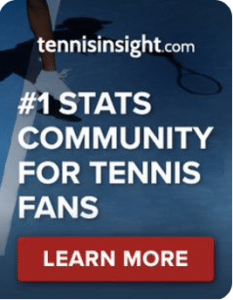 WTA Bogota: Babos v Arruabarrena | Tradeshark Betfair Tennis Trading Blog!Tradeshark Betfair Tennis Trading Blog! Arruabarrena has won all 3 of their previous matches. The most recent was at the French Open in May last year. She won in straight sets on a clay court. All their matches were on clay and ended in 2 sets. Both players have been in poor form for at least the last 12 months. Arruabarrena’s clay results are a little better. Arruabarrena has a very strong record in Bogota. She reached the final in the last 2 seasons and made the semi finals in 2016. She also reached the quarter finals twice and won the title back in 2012. Babos has won 51% of her career clay court matches. She has won 2 of her last 10 and 2 of 7 in the last 12 months. This will probably be a messy match with many breaks of serve. Back Arruabarrena around 1.80. This entry was posted in Daily match picks and tagged Babos v arruabarrena, betfair tennis trading, bogota, low risk tennis trading, tennis tips, tradeshark by .Bookmark the permalink.